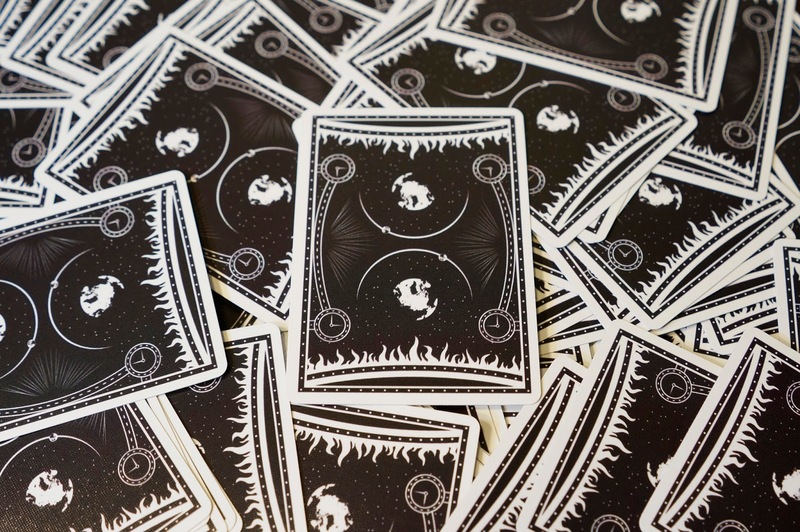 This version of the Singularity Deck is identicial to the standard version of The Singularity Deck Earth - Full Set, except that this one has extra marks on each card to aid in sepearting two decks for games that require multiple copies of each card, such as pinochle. 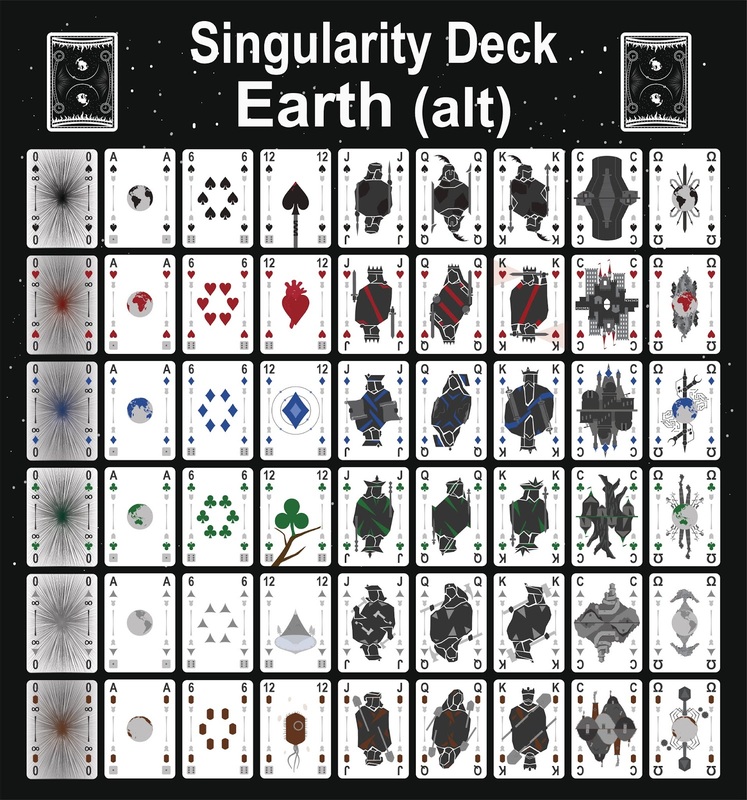 The Singularity Deck - Earth Full Set (alt) consists of six suits (spades, hearts, diamonds, clubs, triangles, and ovals). 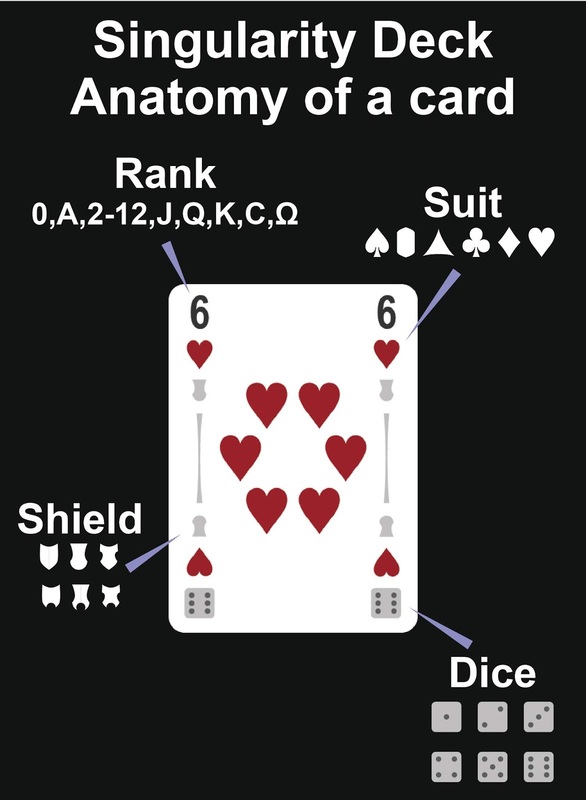 Each suit in the set contains all standard playing card ranks (A thru K) plus a few extras including an 11 & 12, a singularity card, a Tower card, and an Ω card. It includes three copies of the A-rank and one copy each of the other ranks, for a total of twenty cards (A,A,A,2,3,4,5,6,7,8,9,10,11,12,J,Q,K,T,Ω, and singularity) per suit. When more extended ranks are available to give at least 24 cards per suit would like to get notified.